London 19 September 2014 – The independent online gambling regulatory adviser and testing agency eCOGRA, an organisation accredited by twelve different European regulatory jurisdictions, has announced the latest updates to its self-regulatory requirements. The changes have been made as part of a programme that routinely reviews and renews the company’s eGAP Requirements to ensure they are in line with international best practice at all times. Chief Executive Andrew Beveridge said this week that eCOGRA continues to refine and improve its self-regulation requirements in order to provide ongoing assurance that its seal holders behave responsibly, players are protected and games are fair. The European Commission’s published recommendation for the common protection of consumers of online gambling services in the EU, along with the European Parliament’s approved draft legislation for a Fourth European Union Anti-Money Laundering Directive. Jeanne Ferreira, Regulatory Compliance and eGAP Manager at eCOGRA said : “Demand for the eCOGRA Safe and Fair seal continues to grow, complementing the introduction of mandatory technical standards and other compliance requirements from national licensing jurisdictions. “The latest amendments to the eGAP Requirements provide confidence that eCOGRA’s requirements are keeping pace with international developments, and remain relevant in a rapidly evolving industry”. 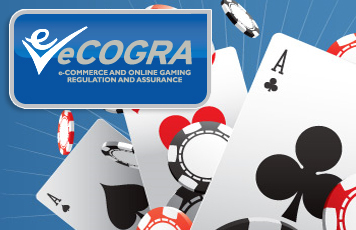 eCOGRA currently accredits and closely monitors over 200 tier one online gambling sites owned by many of the world’s most established and successful operators, including Fortune Lounge, Casino Rewards, Unibet, bwin.party, 32Red, 888, Betway, Betclic Everest and Paf.